Find the best deals and travel to CUBA for an unforgettable experience. 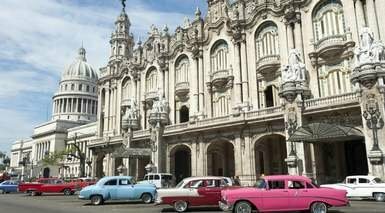 Cuba is defined by its people, it’s a melting pot resulting from the convergence of a variety of cultures, ethnicities and customs that gave rise to one of the most unique and fascinating Caribbean destinations. Iberostar Mojito is located on Cayo Coco Beach and offers an outdoor pool and water sports facilities. In addition, guests can enjoy Italian and international dishes in the 5 restaurants. The second-best Cuban destination. The most beautiful and tourist beach city of the Caribbean island, with more than 20 km of dream beaches, has 50 hotels, most of them of four and five stars with an all-inclusive regime, and 14,000 rooms to accommodate all their visitors. 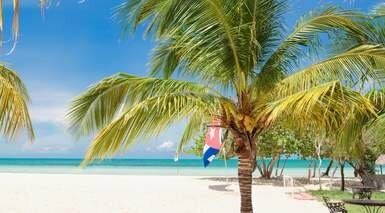 Cuba is not just beaches, turquoise sea and white sand. Every corner of this Caribbean country has a story to tell and an attraction to admire, be it a monument or part of the nature. Here we leave you a list with its seven best destinations, where you can learn about the volatile history of one of the most atypical countries in the world, as well as its people, its lifestyle and how progress and culture is taking its streets. The route through Cuba begins in Havana, an obligatory stop to know the culture of this Caribbean country in all its splendor. If you want to see everything that the Cuban capital offers, where it seems that time has not elapsed, you must spend 3 or 4 days touring its streets and squares. Vehicles from 1940 and cabarets of yesteryear are part of the charm. Each special corner, such as the Malecón, the Plaza de la Revolución, the Old Cathedral, the Capitolio or the Parque del Cañón del Moro, is full of history. Part of the attraction of Havana is its beautiful and colorful colonial architecture, especially the old town, named World Heritage Site by UNESCO, where art galleries, shops and bars proliferate. In the Cuban night you can enjoy some mojitos in the famous Bodeguita del Medio or some daiquiris in well-known Floridita, dine a lobster in a typical Cuban restaurant and then enjoy a show in the Tropicana. Rocky elevations with vegetation, known as mogotes, alternating with tobacco plantations and factories, cultivated fields and picturesque typical houses with reddish roofs make up the landscape of the Valley of Viñales, famed and beautiful tourist destination. Located in the province of Pinar del Río, you can get there in a couple of hours by car from Havana, but first you must visit the Cogotes Viewpoint to appreciate the magnificent views that the area offers. Inside the 11 thousand hectares of land full of nature are places like the Cavern of Santo Tomás, the largest cave system in Cuba, which has conferred the title of Natural Landscape of Humanity by UNESCO. To host all visitors, the valley has three hotels, a total of 200 rooms, and more than 1000 rooms in private homes. The second-best Cuban destination. 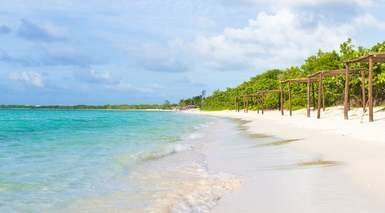 The most beautiful and tourist beach city of the Caribbean island, with more than 20 km of dream beaches, has 50 hotels, most of them of four and five stars with an all-inclusive regime, and 14,000 rooms to accommodate all their visitors. A holiday complex with everything to give. Also, this is the ideal place for people who love snorkeling and diving due to the marine biodiversity of Coral beach or the vastness of the oceanic cave Hoyo Azul Ojo del Mégano, with more than 70 meters of depth, where you can see corals, fish of all colors and other species. Swimming with dolphins in the middle of the sea is another experience that no one should miss. Although Varadero is not only sea and beach. You can also visit the Xanadú Mansion and make expeditions by land to the Saturn cave, the Josone Park or the Varahicacos Ecological Park. Another alternative is to make an excursion to Matanzas, just one hour from Varadero, and go across the city of the bridges and the Castle of San Severino. Like few in Cuba, a city without coast. 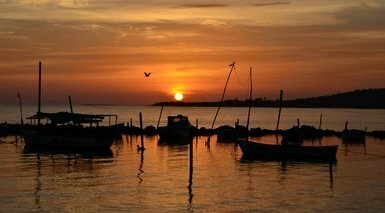 Santa Clara is in the center of the island, just over an hour's drive from Cienfuegos. However, that does not make this place less interesting. Santa Clara has shown the most rebellious side of the Caribbean country by participating in the struggle for independence with the Ten Years War and was where part of the Revolution was developed with the Battle of Santa Clara and the occupation of Ernesto 'Che' Guevara in the end of 1958. You must visit his mausoleum and the Che Guevara Museum, as well as the Monument to the Taking of the Armored Train, derailed at the time by the rebels. But Santa Clara is more than revolution and military actions. This university city, home to the prestigious Central University of Las Villa, has a vibrant nightlife and culture. Highlights include Boulevard 1898, pedestrian street with various shops, or the central square of Parque Vidal, the meeting point for young people in the city. It is said that this is one of the most beautiful cities in Cuba, if not the most. Cienfuegos stands out for its French-influenced architecture that can be seen throughout the historic center, declared a World Heritage Site by UNESCO. Known as the Pearl of the South because it is located on the shores of the spectacular bay of Jagua, Cienfuegos was founded by French people who arrived from Louisiana (USA) in 1819. Its delicious cuisine, its ostentatious palaces and its impressive coastline are part of the attractions of the city of the sea, where you can also appreciate the sunset from the boardwalk or visit the beautiful Paseo del Prado, the Arco del Triunfo, the José Martí Park, the Tomás Terry Theater, the Cathedral of the Immaculate Conception and the Palacio del Valle. You can also do natural activities, such as visiting Rancho Luna beach and the colossal coral ‘Notre Dame’. Do not miss the beautiful waterfalls that descend the mountain of the Natural Park of El Nicho. A colonial city frozen in time, Trinidad is preserved as one of the most magical and wonderful of the Caribbean. One of the first villas founded in Cuba, in the year 1514, has a historic center that is a World Heritage Site where, on cobbled streets, a splendid Plaza Mayor, the churches of the Holy Trinity and Santa Ana, the historical museum of the city and stately mansions like Ortiz Palace, converted into an art gallery, are risen. Near the "museum city" is the Valley of the Sugar Mills, a must to visit, which is connected to the city by a steam tourist train. Ancón beach and Sierra del Escambray, an ecological paradise of exuberant nature, are also unmissable. Trinidad has several hotel facilities, as well as rooms in private houses and restaurants such as El Jigue, one of the most famous in the area. Mountain and sea join in the second city in economic and demographic importance of the Caribbean country. Santiago de Cuba has the Sierra Maestra as a backdrop, hence its particular geography full of hills and stepped streets. In the cradle of rhythm you can appreciate both the warmth and style of the Caribbean and the French delicacy due to the architecture, culture, nature and the wide sea. You must visit the emblematic staircase of Padre Pico, the Basilica of Our Lady of the Assumption, the lively park Céspedes, the cemetery of Santa Ifigenia, the tomb of José Martí and the Castle of San Pedro de la Roca, of Spanish architecture. The most adventurous can make excursions in the surroundings and visit the Baconoa biosphere reserve, home of the Gran Piedra, the Prehistoric Valley, the historic Siboney farm and the Baconao lagoon, where you can find a reproduction of a Taino village. If you want to know Cuba in depth and not miss a thing, TravelCuba will help you make your vacation a reality. Find on our page the best offers and enjoy your trip without having to worry about anything. Make your reservation now and do not let the history, nature, culture and Cuban tradition escape.